What is a Sugar Scrub? If you’re into skin care, you’ve probably heard or even tried a scrub before. As the name suggests, it’s a treatment where an abrasive product is rubbed against the skin in order to massage and exfoliate it, leaving it clean, smooth, and fresh. This treatment is useful for getting rid of dead skin cells, flakes, and other impurities on the skin, making everything look brand new. Scrubs are also used to relax the skin and prepare it for other skin regimen such as wraps and mud treatments or skin tanning. It also allows for easier absorption of substances used to promote a healthier skin. However, most people think of salt when they hear the word scrub. But did you know that sugar can also be used as a scrub? Aptly named the sugar scrub, it’s an exfoliating technique that’s essentially a gentler alternative to the more common salt scrub. 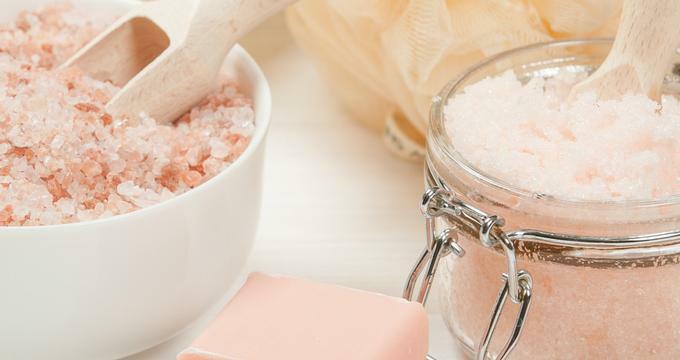 Most spas didn’t use sugar scrubs back then since they preferred salt, thinking it would be the more effective treatment, being rougher and more aggressive. This thinking, however, completely forgot about the fact that the scrub would actually hurt at some point. Eventually, spas started considering sugar as a legitimate substitute for their salt scrub services. As can be inferred, sugar scrubs tend to be easier on the skin while still able to remove the outermost layers of a person’s skin, resulting in a painless process of removing dead skin cells. This makes it the perfect solution for those who want to get a scrub but have very sensitive skin or feel like they get itchy or uncomfortable during with a salt scrub. The other benefit of a sugar scrub is that it can hydrate your skin. The sugar is usually combined with oil and a couple of aromatic substances like rose geranium, grapefruit, or lavender. The scrubbed sugar is then rinsed off by showering. Once the skin is all dry, lotion will be applied, keeping the skin moisturized and smelling good. The scrubbing is usually done in a wet room that has its own shower. The spa will have varying amenities and facilities, but you’ll usually be set on a table while being covered by a sheet or towel. In some cases, the table will be wet and you’ll have to wear some disposable underwear if you don’t want your own clothes to get soaked. This applies to both men and women. You’re going to lie down on the surface on your stomach. The therapist will then start rubbing a mix of sugar, oil, and some aromatic essences on your skin, starting with your back and then moving to other parts of the body until you’re pretty much covered in the stuff. You’ll then turn over and have the same process done to your front. This whole process might feel a bit weird at first, but it’s nothing people can’t get used to over time. Just relax and learn to enjoy the treatment. Tip: In case you have privacy issues, don’t hesitate to speak to the therapist about it. They’re usually trained to adjust to the special requests of the client. Once you’re done, the therapist will leave your room to give you some privacy. You can then step into the shower in order to rinse off all the sugar. Don’t use any soap or shower gel as much as possible so that you don’t wash off the aroma that’s on your body. In some cases, your body will be rinsed off at the table using a hand shower so that you don’t have to bathe yourself, which can be a relaxing feeling in itself. In most cases, the sugar scrub isn’t done on its own. It’s usually followed by a body wrap of mud or seaweed wrap. The exfoliation from the sugar scrub promotes better circulation and thus makes it better ready to benefit from the detoxing effect of the algae or seaweed. Sugar scrubs are also great when followed up with a massage of your choice. The sugar scrub really stimulates your skin, allowing you to maximize the effects of the relaxing massage. In fact, this is a great way to end your spa session since you’ll be completely relaxed afterwards. The truth is that you can pretty much combine the sugar scrub with any kind of spa service. Just make sure to get the sugar scrub first. This is because the sugar scrub is supposed to stimulate your skin. Meanwhile all the other kinds of treatments aim to relax your body, allowing you to end your session feeling a bit balanced out. Tip: Ask your therapist if you can choose your preferred scent. Spas usually allow this. Mix all the ingredients in an air-tight jar and you’re done. To use, just take out one teaspoon of the mixture and use it in the shower. The sugar scrub is basically just sugar and oil. What makes mixtures different from each other is the choice of essential or aromatic oils. Pick the one that you find the most relaxing, may it be lavender, rose, mint, or more. Another suggestion would be to add another ingredient to the mix such as pumpkin spices or vanilla. One interesting idea is to use lemon oil for a scrub that you can use after washing dishes. Finally, don’t forget about brown sugar. It’s softer than the white counterpart, so it’s a good alternative if you’re going to make a scrub for your face or for sensitive parts of the body. Sugar scrub is definitely the solution for smoother and healthier skin for those who don’t really like the salt variant. Whether you plan to get it from a spa or to make one for yourself at home, it’s definitely worth a try. What is a Manicure and Pedicure?